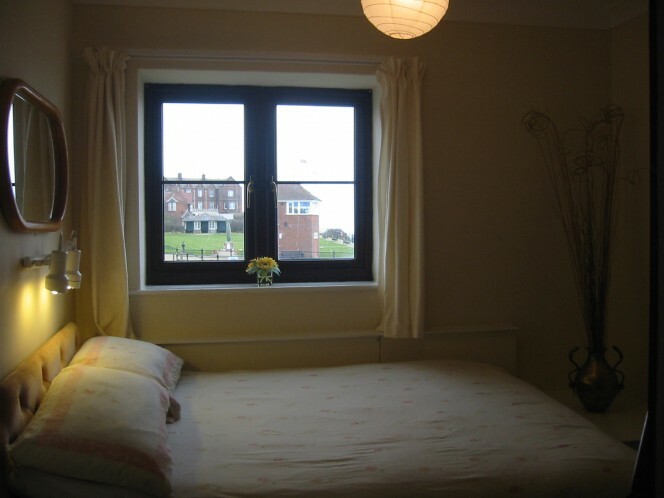 Situated at the side of Beach Cottage, this is a guest bedroom with sea view. It overlooks the pretty Cliff top gardens, the Coastguard’s Lookout and Maritime museum. 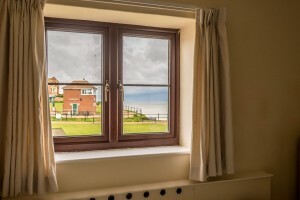 You can see the sea from here; and when you open the windows, listen to the sound of the waves as they lull you to sleep. 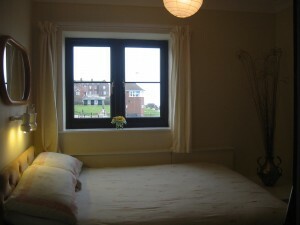 This room is next door to the bunk bed room and the family bathroom.